If you have a prized music collection in the cloud or on your hard drive, there are a few ways to stream it all remotely, just like you would with a service like Spotify. 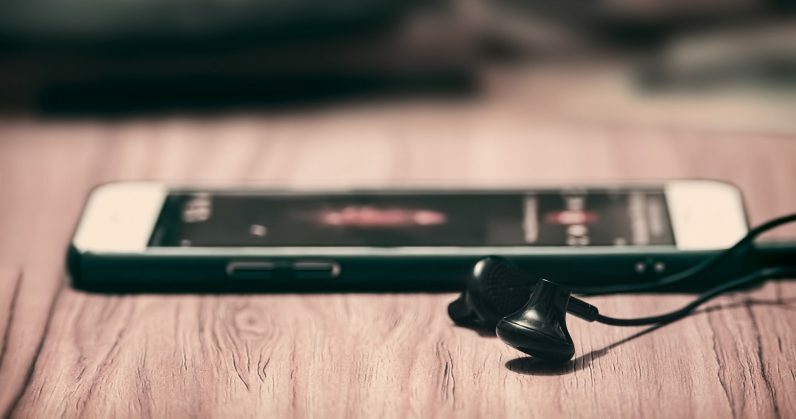 Whether you’ve got plenty of rare tunes ripped from vinyls, a bunch of albums from indie artists on Bandcamp, or a carefully curated collection of lossless tracks, this guide should help you figure out the best way to access your music on the go. It should also come in handy for folks who are being left high and dry by Microsoft, as it’s killing off its Groove Music mobile apps for streaming tracks from your OneDrive account. While Groove Music will continue to be available on PCs and Xbox consoles, you likely won’t get much use out of it if you can’t use the app when you’re out and about. If you already have music in the cloud, Cloudbeats seems like just the thing to sort you out. It’s available for Android and iOS, works with music stored in OneDrive and other services, and lets you browse and stream your personal collection as if the songs were stored on your device with a well-designed interface. This way, you don’t need to rejig your cloud-based music collection, or move it anywhere before you can can crank those tunes. A $4 in-app purchase unlocks additional features, like the ability to download music for offline listening, and streaming tracks to Chromecast-equipped devices. If you have a large collection of MP3s on your hard drive, you can opt to store them online with select streaming music services. Apple Music, Deezer, and Google Play Music allow subscribers to upload tracks and stream them just as they would with tunes from their online catalogs. A $10 plan for Apple Music lets you stash 100,000 songs in your iCloud Music Library; Google Play Music’s similarly priced offering includes room for 50,000 songs. Deezer also supports uploads, but you’re limited to 2,000 tracks, so it’s not the best option out there. For Apple Music, you’ll need iTunes to upload your tracks into the cloud; you can find more info on how to do that here. For Google Play Music, you’ll need to log into your account on your desktop, tap the menu button at the top left of your screen, and then click on Upload music to begin adding tracks from your local storage. Alternatively, you could consider cloud services that let you upload your personal music collection and stream tracks on various devices. Vox claims to offer unlimited storage for your MP3s and lossless tracks for $4.99 a month, and Voltra charges $9.99 a month for its offering. Both have iOS apps, but Vox’s desktop player only works on macOS, and Voltra’s is limited to Windows and Linux. If you’re an Android user, these services aren’t for you right now. Another way to go is to set up a personal streaming server on your desktop with Plex. As long as your computer is connected to the internet, you can stream music to other devices that you’re signed into from anywhere – and that includes Android, iOS, Windows, and a host of other platforms. Plex’s primary media server service is free, and requires you to install an app on the computer that has all your music. Once you’ve got it set up, just point it to the folders where your tracks are stored, and it’ll index them into a neat catalog. You can then access your tracks by logging into your account on other devices. You will need to enable remote access by following the instructions on this page, though, and a Plex Pass subscription ($40 a year, or $5 a month, or $120 for a lifetime plan) to remove the 1-minute restriction on streaming to Plex’s mobile apps. That should help you get your music fix without having to rely exclusively on what streaming services offer. Do you have a trick for accessing your tunes? Let us know in the comments.